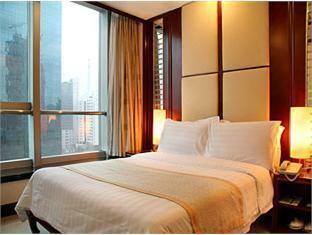 Discover all that Shanghai has to offer with Golden Tulip All Suites City Centre as a base. The hotel features a wide range of modern facilities and services in its 608 well-appointed guestrooms and throughout the premises. 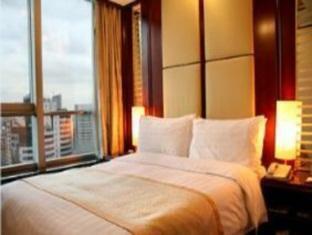 All of the guestrooms are replete with internet access – wireless, air conditioning, hair dryer. Guests can experience the high standards of comfort while staying at this luxury Shanghai hotel with everything they need right on the site such as bar/pub, elevator, laundry service/dry cleaning. For a more enjoyable stay, guests can take advantage of a variety of recreational facilities, including gym. This hotel is characterized by a combination of modern comfort and traditional element of Shanghai, making it a distinct accommodation. For your reservation at the Golden Tulip All Suites City Centre, simply submit your dates and complete our secure online booking form.